"Peter Freuchen, six foot seven, lived inside the cave of his breath. " 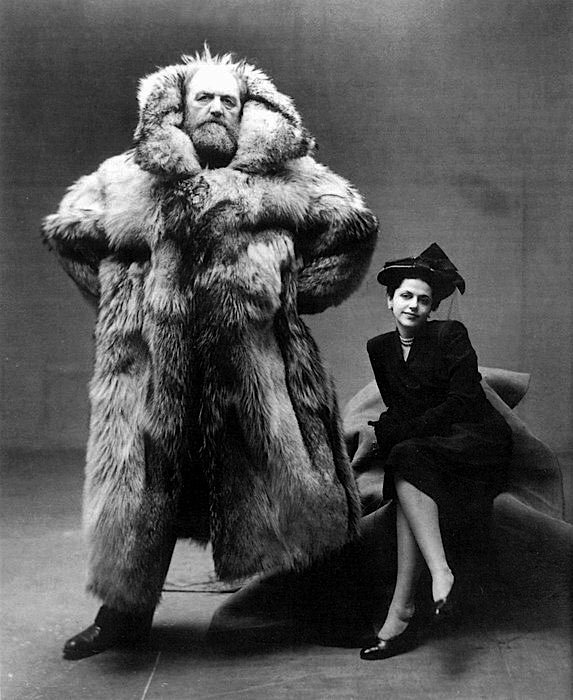 "That's Peter Freuchen and his wife Dagmar Freuchen-Gale, in a photo taken by Irving Penn. Freuchen is a top candidate for the Most Interesting Man in the World. And his mom had a tattoo that said "Son"! He could have stopped at the poop-knife and been legend. Thanks. Now my life feels even smaller and less significant..
Another tip toe through the tulips. I learned what I know about the Arctic from Peter Freuchen books. Though non-fiction, they read like adventure tales. He could make the act of eating seal blubber sound very appetizing.